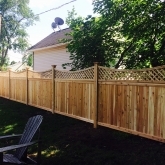 If you are looking for the best Ridgefield Fencing Service, you don’t have to look any further. 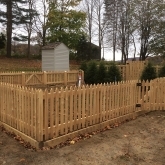 Roots Landscaping is a team of professionals who have completed many fencing projects in and around the Ridgefield area. In fact, if you drive in the city on a regular basis, you have more than likely witnessed one of Roots Landscaping’s fencing projects in the works! We can do any job that you are looking to have done, regardless of size. There are many different types of fences to choose from when you are looking at fencing options. You’ll want to consider why you need the fence to start with. Maybe it is because your neighbors are close and you want privacy, or you have small children or large pets that need protection. Whatever reason you have for needing a fence, Roots Landscaping can help you choose the right one and then install it for you. 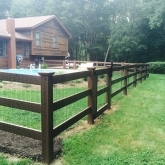 Our fences are made from only the best, high-quality materials and installed by professionals who have years of experience. 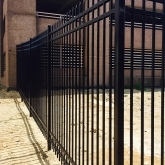 For more information on our fencing products, click here. 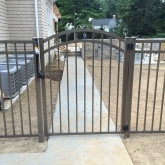 Roots Landscaping will provide expert installation at all times with multiple types of fences. Your fence should be installed by an expert, as you never know when you can run into an issue that will be hard to work around. We do all the work for you to make sure your fence is properly installed, from taking full measurements of your area to analyzing your terrain and more. We always make sure that your fence is installed the right way. Costs will be different depending on the material costs, the length of the fence and how high it will be. One of the most common problems that occur in fences is rotten boards caused from the fungus that eats away at the wood. The wood may need to be chemically treated, patched up, repainted or stained. If we see that the boards are too far gone to save, we can replace them for you. Fence poles are crucial to a good fence as they provide the necessary stability needed for the fence to stay straight. 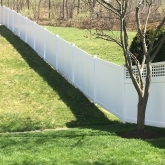 However, they often shift over time, which can cause portions of the fence to deteriorate or become damaged when they fall. We can replace fence posts to avoid this issue or repair them if that is what they need. Your fence may be made from wood, chain, vinyl and more. Depending on the type, the process of repairing any holes and cracks in the fence will be different. It’s necessary to patch up holes and fill any cracks as soon as you can to prevent greater damage. Plus, it will look much better! Another common fence repair service that we perform is replacing missing boards. How long and high the fence is, as well as the type of fence you own, will make each repair process different. You’ll always want to fix your missing boards as soon as you can to prevent your fence from collapsing, which will end up costing you much more to repair if this occurs. 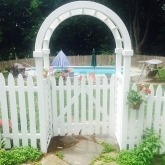 Give Roots Landscaping a call today to learn more about how we can help you fix your fence! 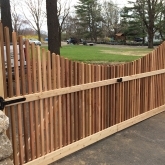 Roots Landscaping is dedicated to providing the best fence installation and repairs in Ridgefield, CT. Give us a call if you would like more information about our company, services, and team, or if you do not know what type of fence you would like installed. Our phone number is 203-304-7326. Roots Landscaping provides the best quality service in and around the Ridgefield, CT area for all of your landscaping, masonry and fencing needs. We are accredited by all BBB standards and are waiting to provide you with the services you need. Call today 203-304-7326 for more information or to set up an appointment.